HomeKit compatibility is mentioned in official release notes for the latest Pro firmware, 1.092.0.13_19715. It's not yet clear if the feature can actually be used or if Netgear is simply laying groundwork. 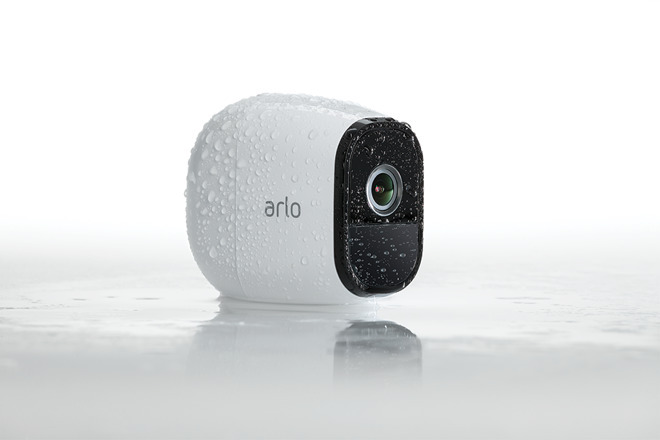 Also uncertain is whether the newfound support applies to the recent Arlo Pro 2. Currently the only vendors with HomeKit-ready cameras include Netgear, D-Link, Logitech, Netatmo, and Somfy. Until this week, the one Netgear option has been the Arlo Baby, a primarily wired camera intended for nurseries, though it can be tweaked for general security use. The Arlo line has proven to be one of the more popular options for smarthome security, but Netgear's preference for going wireless was thought to have precluded HomeKit. Even if they require occasional charging, wireless cameras can be placed in more locations and are potentially harder to disable. Apple's platform allows cameras to be viewed from the iOS Home app, controlled with Siri, and in some cases integrated into complex scenes and automations alongside other smarthome accessories. Logitech's Circle 2 for example can be set to turn on smartbulbs if it detects motion at night. Update: Netgear now says the reference was an "error," and that "at this time," the Baby remains the only HomeKit-ready Arlo.